Product prices and availability are accurate as of 2019-04-20 21:29:05 UTC and are subject to change. Any price and availability information displayed on http://www.amazon.com/ at the time of purchase will apply to the purchase of this product. 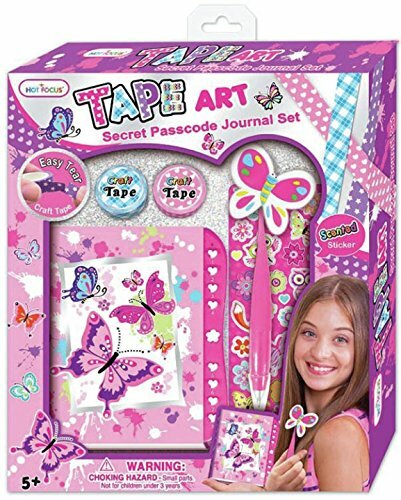 190563 Features: -Set includes 1 diary with passcode lock, 1 bobble pen, 2 decorative tapes and 1 sheet of stickers. -Pattern: Paradise. -Easy tear craft tape. -Suitable for ages 5 years old and up. -Warning: Choking hazard, not for children under 3 years. 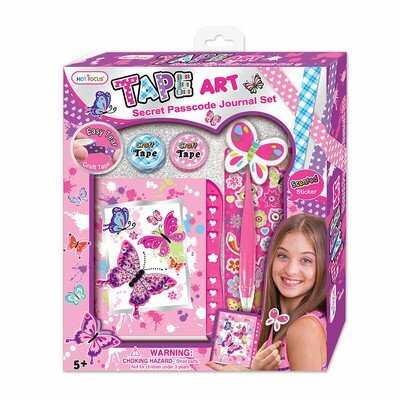 Product Type: -Art Kits. Number of Items Included: -5. Dimensions: Overall Height - Top to Bottom: -11.38". Overall Width - Side to Side: -9.88". Overall Depth - Front to Back: -1.38". Overall Product Weight: -0.62 lbs.